The second instalment of the action-packed spy-adventure series for girls and boys from bestselling author Jacqueline Harvey! After discovering a life-changing secret, our favourite 11-year-old twins Kensy and Max Grey are adjusting to their new life in England. There'll be more ... read full description below. The second instalment of the action-packed spy-adventure series for girls and boys from bestselling author Jacqueline Harvey! 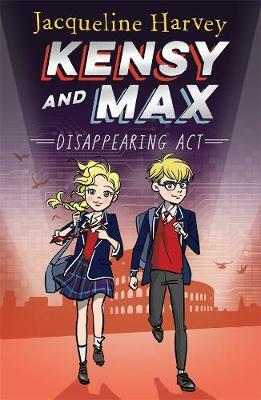 After discovering a life-changing secret, our favourite 11-year-old twins Kensy and Max Grey are adjusting to their new life in England. There'll be more twists and turns, a new villain, spy training and even a dash to Rome to save the day!